Scenic Eclipse II will cruise to destinations including the Russian Arctic, the Northwest Passage and southern Greenland. With Scenic's first ocean-cruising ship, the "six-star luxury discovery yacht" Scenic Eclipse, set to launch on August 31, the company has announced it'll be adding a second ocean cruiser to its fleet. 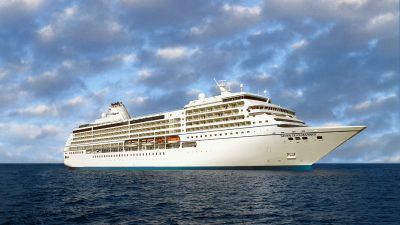 Scenic Eclipse II will launch in 2020 with a maiden voyage from Athens to Lisbon before its debut season cruising the European and Russian Arctic and beyond. Scenic founder and chairman Glen Moroney said the new luxury expedition ship would allow the company to "expand our offering and pioneer new destinations, such as the Russian Arctic". 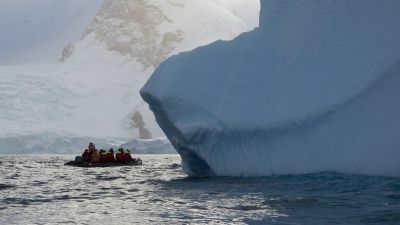 Itineraries are set to be released in April, but will include Russia's White Sea, the Northwest Passage, southern Greenland, and crossing the Bering Sea between Alaska and Russia. Scenic Eclipse II will have a similar design to Scenic Eclipse, with 114 all-veranda suites including a 247sqm two-bedroom owner's suite with a 68sqm terrace. It'll have nine restaurants including a teppanyaki grill and a French fine-dining restaurant, 24-hour room service, eight lounges and bars, a library, spa, gym with a yoga and pilates studio, a 220-seat theatre, and indoor and outdoor pools. There will be a staff-to-guest ratio of almost 1:1, plus gear including two six-seat helicopters, a six-seat submarine and a remotely operated underwater vehicle (ROV) with a camera. Passengers will be able to take part in excursions including Zodiac trips, kayaking, snowshoeing, snorkelling and e-bike riding. Construction of Scenic Eclipse II is set to begin next year in Croatia. At top: Artist's impression of Scenic Eclipse and Scenic Eclipse II in the High Arctic. For more details, phone 138 128 or visit scenic.com.au.